Providing a gamut of services from web to mobile app development and designing, Yield Interactive has placed a huge impact in the B2B sector. The company was established in the year 2012 with an aim to help businesses grow and expand. The company was committed to providing end to end services to Startups, SMEs and Corporates Alike. Over these years, we worked with a huge clientele from genre-defining technology startups to enterprises and provided solutions that astonish clients. GoodFirms is a full-fledged research and review firm that follows an ingenious methodology to analyze each company’s quality, reliability and competency factors. It also includes client reviews in the research as it plays a vital role in boosting company’s online reputation and driving more traffic. However, GoodFirms unveils the scores and rank of top-notch developers, designers, marketers, testers across the globe. And, Yield Interactive is happy to be part of GoodFirms‘ elite list of global software service providers. What made GoodFirms List Yield Interactive? During the research, they found us focusing equally on different areas of IT sector. Be it app designing, web designing, app development, web development, eCommerce website development, consultation, or internet marketing, the team has paved its way to complete each project using a unique approach and advanced technology. In the duration of 5 years, the company has delivered 49+ projects and helped 10 startups to grow their business from concept to go live. The company received excellent reviews from the clients for the services they offered on Goodfirms. According to the clients, the tech team is highly skilled, professional and amicable. They also mentioned that they would like to partner with the company again for the next challenging projects. “We wanted to revamp our existing Video streaming and OTT platform and also launch a new product for crowdsourcing of digital content in gamification mode. Yield team helped us with complete UI, Project Planning, and execution. For any media streaming related projects, this team is highly reliable and recommended.” ~ Project Manager at Leading OTT Company. Besides writing about working experience, clients also rated us on a scale of 1 to 5 for different factors. We garnered 5 out of 5 stars for its overall performance. 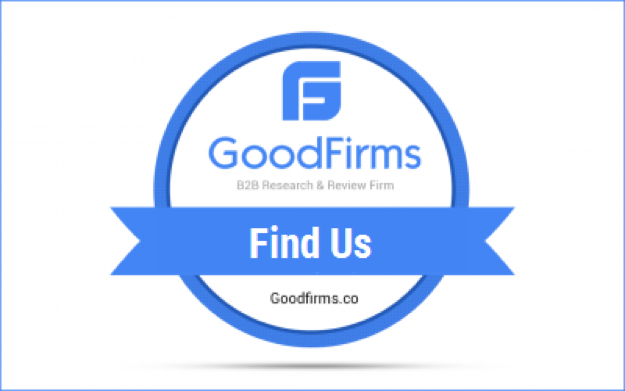 GoodFirms is a B2B research and review firm that aligns its efforts in finding the top-rated service providers delivering excellent services to their clients. GoodFirms’ extensive research process ranks the companies, boost their online reputation and help service seekers pick the right technology partner that meets their business needs.